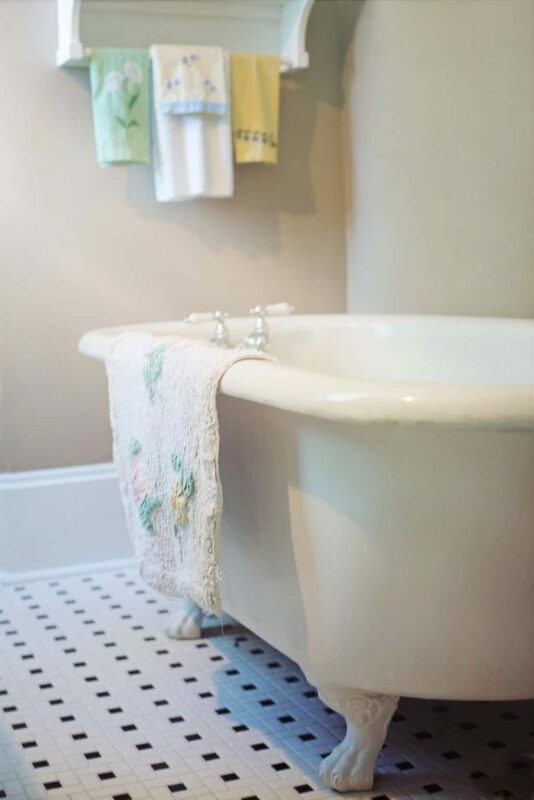 How To Unclog Bathtub Drain With Household Products? Yep. That’s what I am here to talk about today. I know I am usually sharing makeovers and DIY projects, but I am also passionate about cleaning and organizing and finding ways to do household chores easily. When I can figure out a way to do something with products I always have on hand, it is like winning the lottery! I get just as excited about these little hacks as I do a beautiful furniture makeover or room reveal. Our bathtub was not draining efficiently last week. Water was collecting in the tub when we would take a shower. Instead of heading out to get liquid plumbing stuff, we wanted to try to do it with pantry staples we already had on hand. 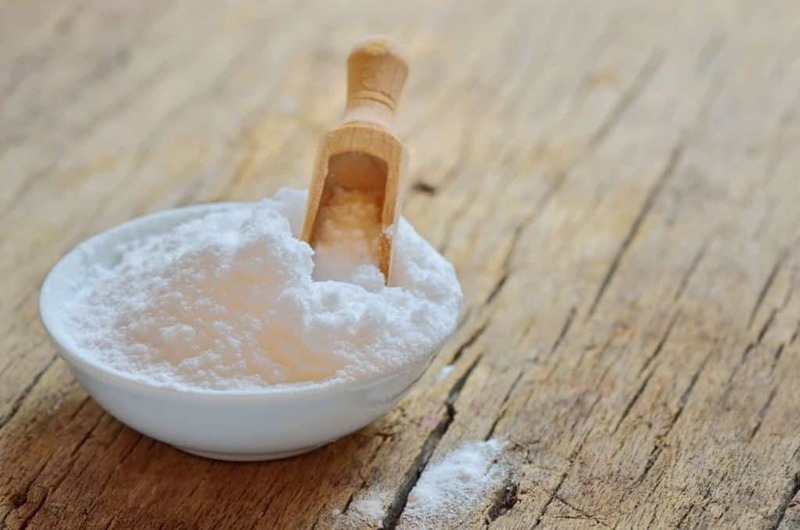 I use vinegar and baking soda to clean all kinds of things and the reaction they give when they are mixed together is perfect for unclogging a bathtub drain. 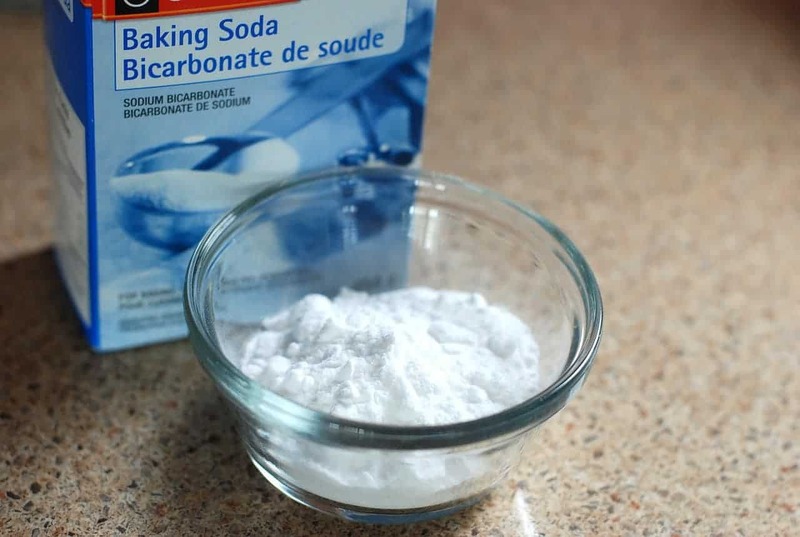 Next, I mixed the vinegar and baking soda together. I watched it react the way it does and then poured it down the bathtub drain. I waited 10 minutes for it to work its magic. 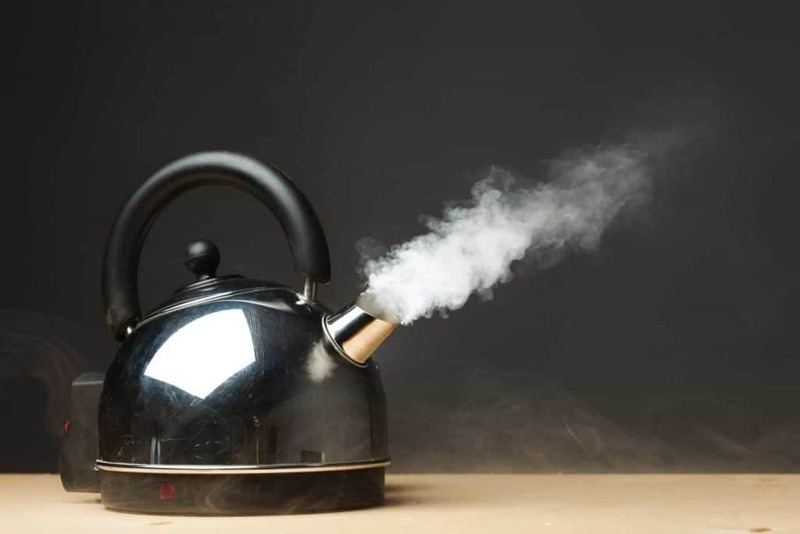 After 10 minutes, I filled the tea kettle with water and waited for it to boil. I poured the water down the bathtub drain. There is no more water collecting in the tub when we shower! I was so happy about this working that I couldn’t wait to share it all with you here. What is your favorite cleaning tip or trick? I love hearing about hacks that actually work so please share them with us in the comments. 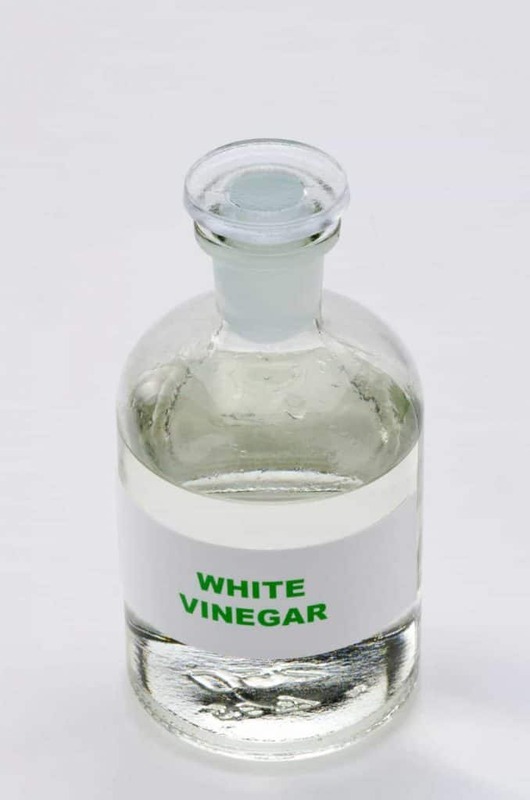 I often wonder if it is the vinegar and baking soda or simply the pulling out of all of the hair and gunk that is blocking the drain that does the trick. Hi Lindsay. 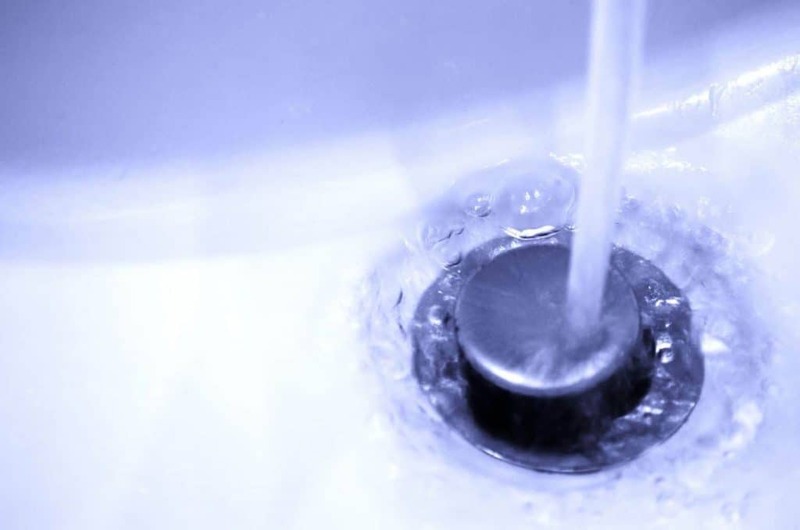 I have used baking soda and vinegar to unclog drains in the past. it works very well. In order to keep your drain clog free I would recommend getting a pair of long tweezers and cleaning all of the hair out. We did that to start. Thanks! 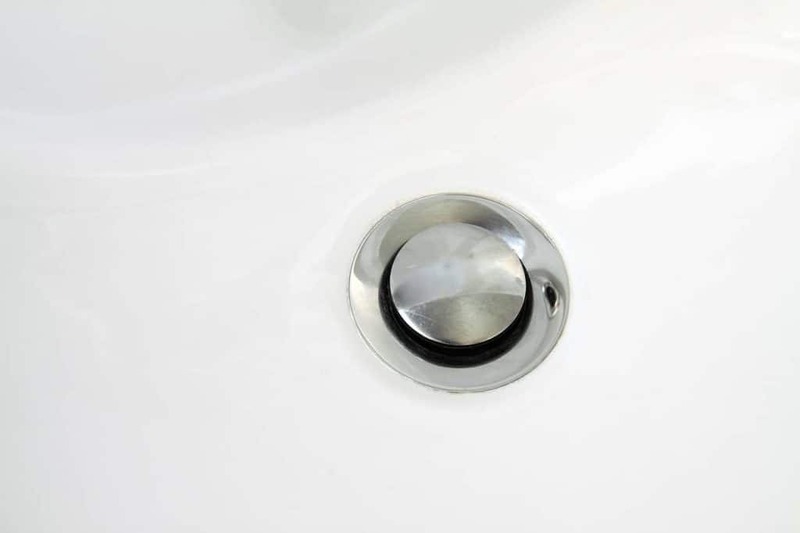 I’ve used baking soda and vinegar to unclog drains previously. It functions really well. To be able to maintain your drain clog loose I would advise getting a set of long tweezers and cleansing all the hair outside. Yep, Matt does that first.